HUNTINGTON, WV (HNN) – Two days of internet disruptions have three Huntington City Council members complaining about the Comcast service. Outages have occurred on Wednesday and Thursday. On Thursday morning, the internet was working, only to go off shortly after 11 a.m. Due to the outage, Huntington City Hall was without email service. 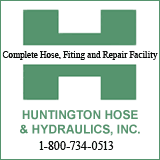 Since City Hall was affected by the Comcast outage, the clerk has not been able to send out the Huntington City Council agenda for the Monday, Jan. 24 meeting. Council woman Rebecca Thacker complained that she has been disrupted from working at home on her computer for the last two days. Councilman Scott Caserta told those at the work session that the city has “no contract” with Comcast and that there have been a pattern of service problems. The multi-channel service provider took over Adelphia’s customers after that company went bankrupt. Television cable service has not been affected.